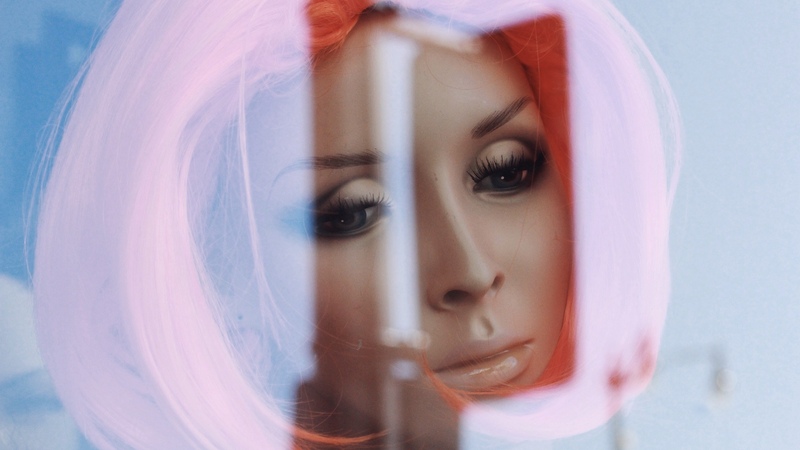 That moment you're recording your fave band sing your fave song when suddenly you're out of storage space - death! 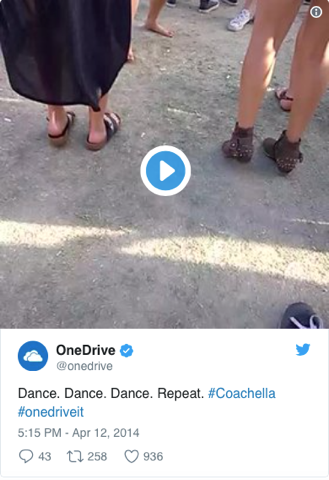 OneDrive teamed up with Coachella to help prevent moments like this and offer a unique festival experience. 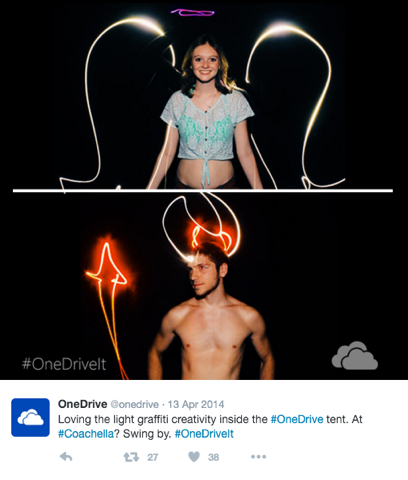 For weeks leading up to the famous music fest in the desert, we ran OneDrive's social media outlets – holding contests, giving away VIP wristbands, and posting never-before-seen photos of Coachellas from the past – all while encouraging people to back up their phones with 3GB of free storage on OneDrive. 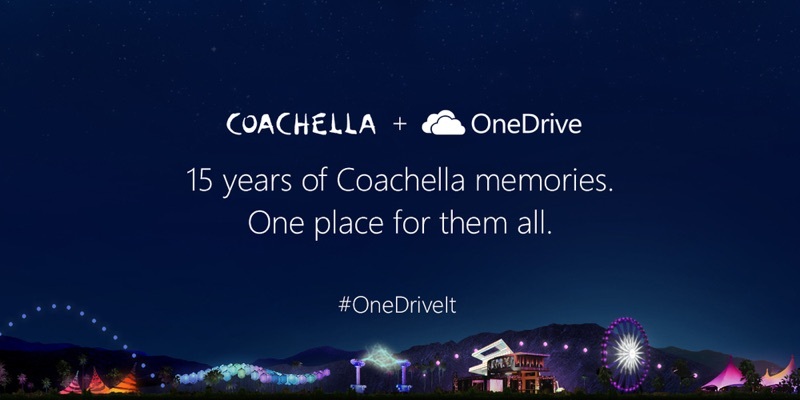 At the event, people could stop in the OneDrive tent to relive old Coachellas, play in the light graffiti photo booth, back up their phones when they ran out of space — or just recharge in the AC. 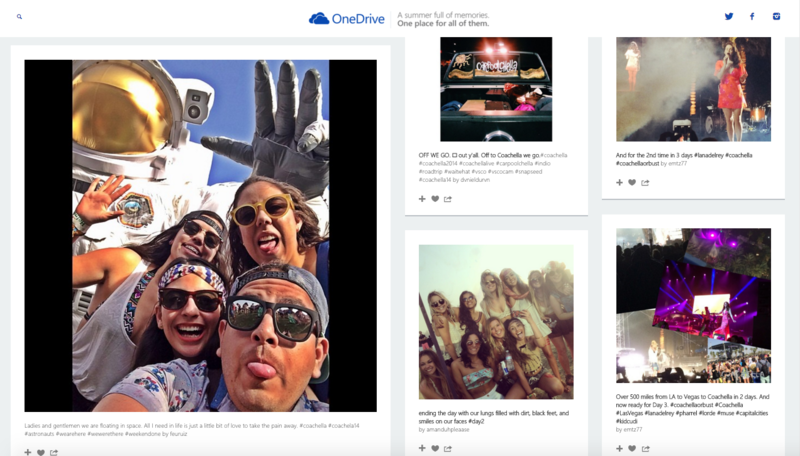 My team and I were on the grounds spreading the OneDrive love, capturing footage, and posting in real time across the brand's social feeds. 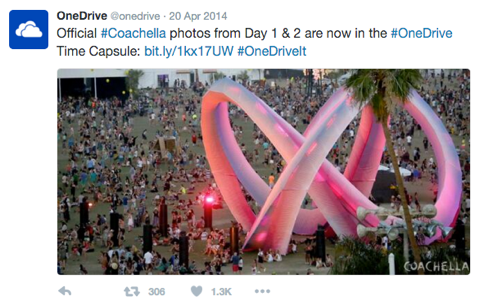 Any time a post was tagged with #OneDriveIt, it was automatically aggregated to OneDrive's tumblr account which served as a master source for all things Coachella. 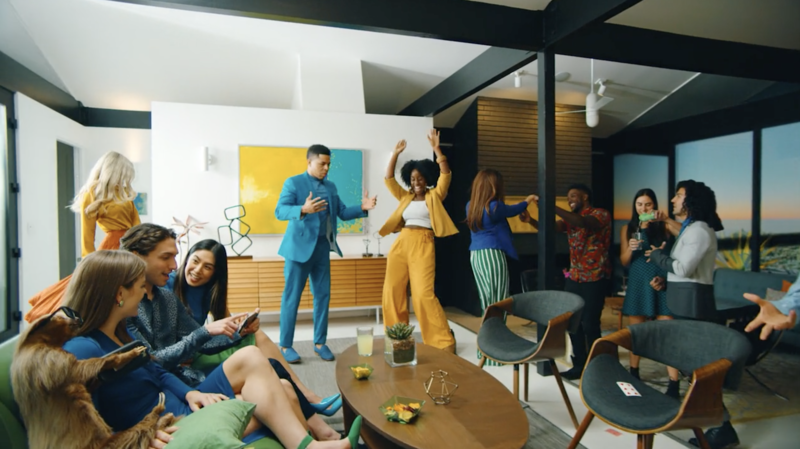 People nostalgically relived the weekend through their photos and the page continued to be populated even weeks later. 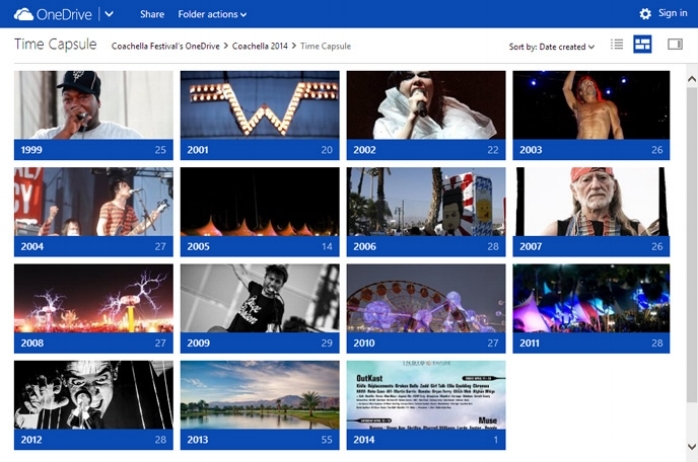 In addition to the live feed, OneDrive hosted a Time Capsule that was home to rare photos and footage of performances throughout the history of the festival. 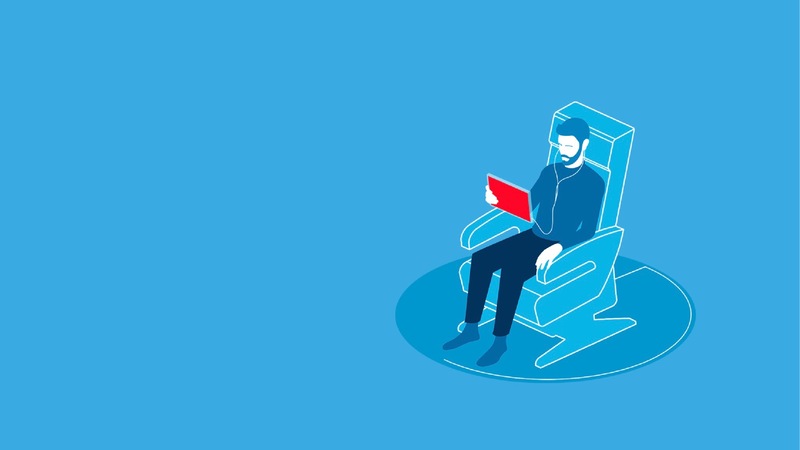 For memories. 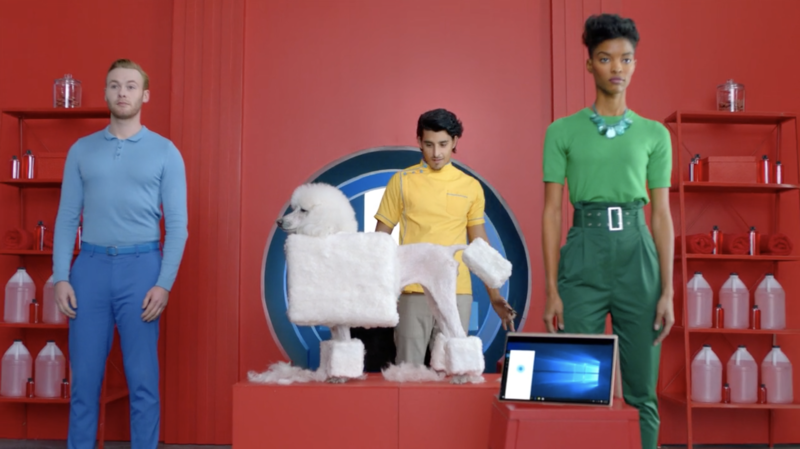 And desert withdrawals.